My strength lies in maths and bm. I have 6+ years of teaching experience dealing with students of different age, background, races and needs. What I offer as a tutor is a committed and passionate approach to learning. I listen to students and encourage them to speak and question as long as they're unclear about the subject. Usually, I will use different techniques to approach the unclear topic until student understand the subject. 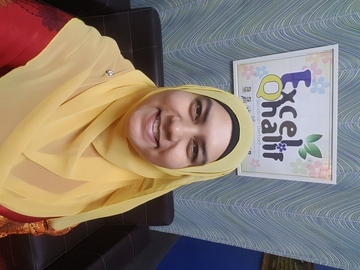 If you (parents / students) would like this tutor (Nor Azianwaty Mohamad Aziz) to contact you, you may submit the tutor query form or call our consultant Ivon at 012-3436703. This service only available for parents and students.